Derek St. Holmes: David Bean. 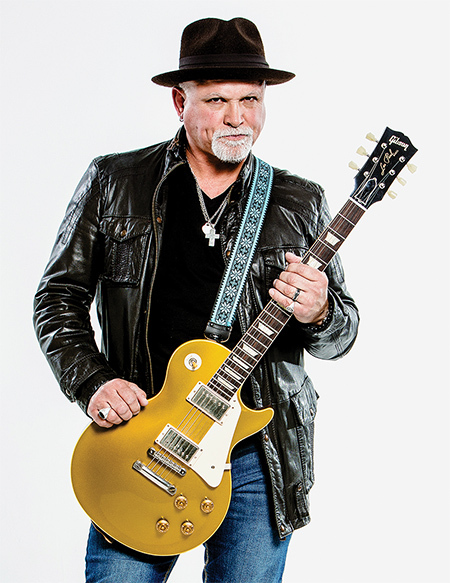 Derek St. Holmes has been in the rock and roll business since the early 1970s and is best known for his work as guitarist, vocalist, and co-songwriter with the original Ted Nugent band. Ever the unsung hero, St. Holmes was delivering the word on favorites like “Stranglehold,” “Snakeskin Cowboys,” and “Hey Baby,” back when people assumed the band’s namesake was the voice emanating from their speakers. St. Holmes has always been partial to Gibsons. 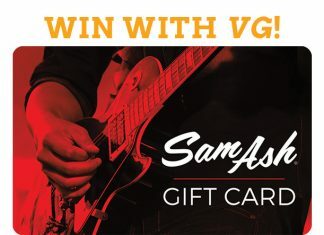 For the stage and the studio, his amps are an 18-watt Sock Monkey with a 1×12″ 3 Monkeys cab and a Marshall MKII 50-watt reissue on a 4×12″ slant cab with 25-watt Celestion Greenbacks. They’re sticking with it on the road, as well. St. Holmes keeps his pedalboard simple. He attributes the vibe of the new album to their collective roots.